Avoid getting hit by spammers by adding the latest Google reCaptcha V2 on all major front office forms on PrestaShop, including Account Creation page, Login page, Contact us page, Lost Password form, Send to a Friend form, Add Product Comment form, Newsletter form, and Out of Stock Notifications form. Add reCaptcha V2 Verification on Account Creation Form. Adds reCaptcha V2 Verification on Login From. Adds reCaptcha V2 Verification on Lost Password Form. Adds reCaptcha V2 Verification on Contact Form. Adds reCaptcha V2 Verification on Newsletter Form. 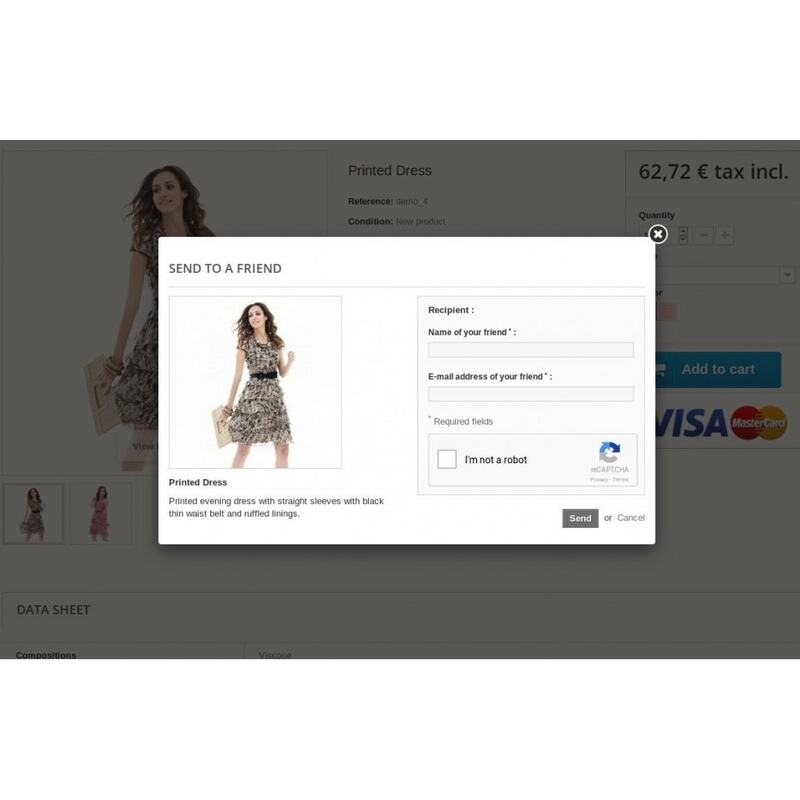 Adds reCaptcha V2 Verification on Add Product Comment Form. Allow disable reCaptcha for logged in users. 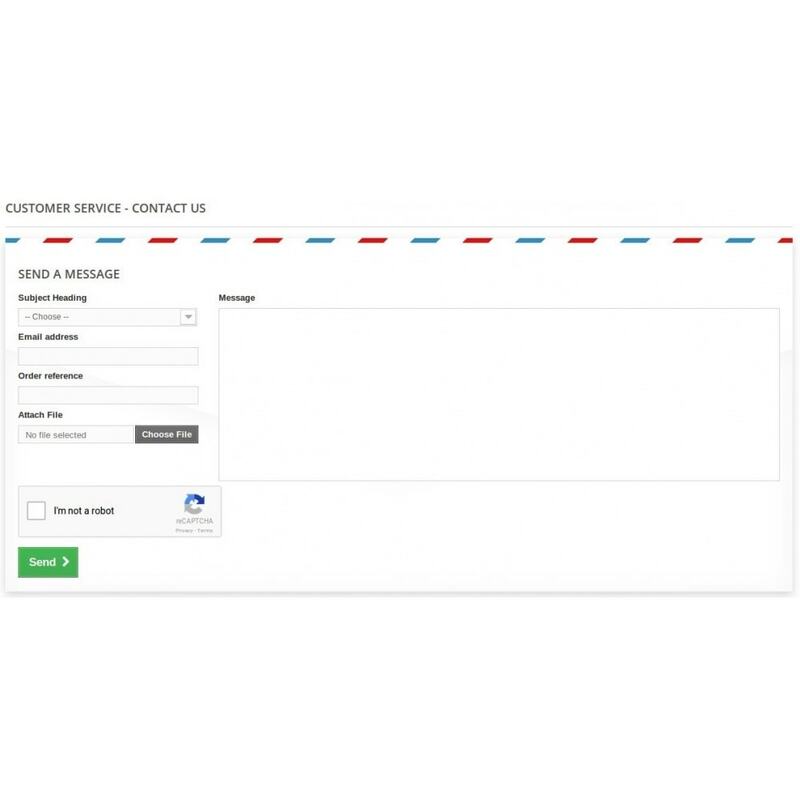 Increase the customer trust, by showing you store is protected against spammers, increase the productivity, as allow you to focus only on verified contact messages. In order to show Google reCaptcha V2 on Add Newsletter form, blocknewsletter module should be installed and enabled. In order to show Google reCaptcha V2 on Send to a Friend form, sendtoafriend module should be installed and enabled. In order to show Google reCaptcha V2 on Add Product Comment form, productcomments module should be installed and enabled. 1. Log into PrestaShop administration panel, go to Modules → Click Add new module. 2. Select grecaptcha.zip which you downloaded and click Upload this module. 3. Scroll down and find "Google reCaptcha V2" and click Install. You are done. 4. Clear Cache in Advance Parameters → Performance, if needed. Complete Product Review system for your store! Allows your users to post reviews with Google Rich Snippets, and reminds clients that recently purchased a product. Increase product reviews, customer satisfaction and also increase sales! This module allow you to automatically send a notification to your customers, reminding them to review their purchased products, it can reward customers who wrote reviews with vouchers.